"I didn't expect to fall for the story of Snow White. Like so many of the Brothers Grimm fairytales, I felt that I vaguely knew a version of the story, and was most familiar with Disney's 1937 interpretation. It was only through my research that I found out that in the first published version it was Snow White's actual mother - not her stepmother - who was so jealous of her offspring's beauty that it drove her to want to murder the daughter that she had so wished for. I was hooked; it suddenly became such an important story to tell. So many of us live with a complicated and unhappy relationship with our reflection in the mirror, and this fairytale warns us of the dangers of self-criticism, brilliantly looking at the cost of our beautifying and anti-ageing efforts." BalletLorent's mission to create high quality dance for all ages is commendable. 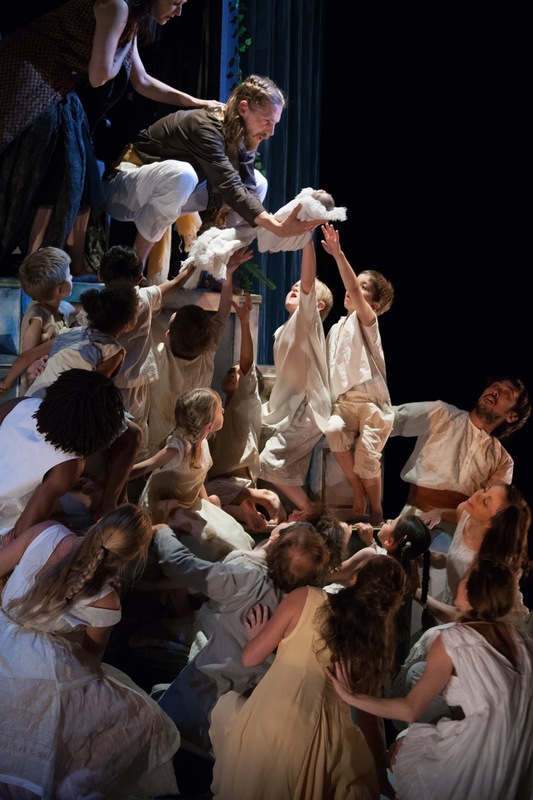 In this touring production, they have offered the opportunity for 12 children aged six to nine years to rehearse and perform with them. These lucky children receive professional training and an opportunity to perform as part of the troupe. We were hugely impressed by their contibution and, like many productions which feature children, to an audience aspiring to follow in their footsteps their roles offer a tangible next step for other aspiring miniature dancers. By opening up productions so effectively for families both in the audience and in the production itself, as Amy Reid, a teacher in a participating school notes: "It's great to be planting that seed now instead of later on. They are little enough for this to make a difference."